A balanced mix of human expertise and machinery means that we have excellent track construction competence that is reflected in efficient project completion. Be it structural engineering or turnkey buildings, commercial or residential objects, for us quality is the air we breath and your project is in excellent hands. H.F. Wiebe – then as now a strong partner for good construction. Every project starts somewhere – just like the Wiebe Group. The history of our company starts with Dieter H.F. Wiebe, a master carpenter in the 17th century. Today, we continue the family tradition under his name, and we have never shied away from any opportunity to make use of the potential for further development. In this way we not only ensure the company’s successful development today, but also ensure the company’s strong future. We now cover large parts of the construction industry: We create modern architectural wonders in the civil engineering and turnkey project segments, and also ensure professional work in the fields of track construction and permanent way welding on infrastructural traffic routes. H.F. Wiebe – always the right start for your project. For us it is important that you see us as the right partner to ensure the excellent implementation of your project. This is why we have a broad-based range of services covering large parts of the construction industry, characterized by highest standards and professionalism. This makes us one of the leading track construction companies in Europe. 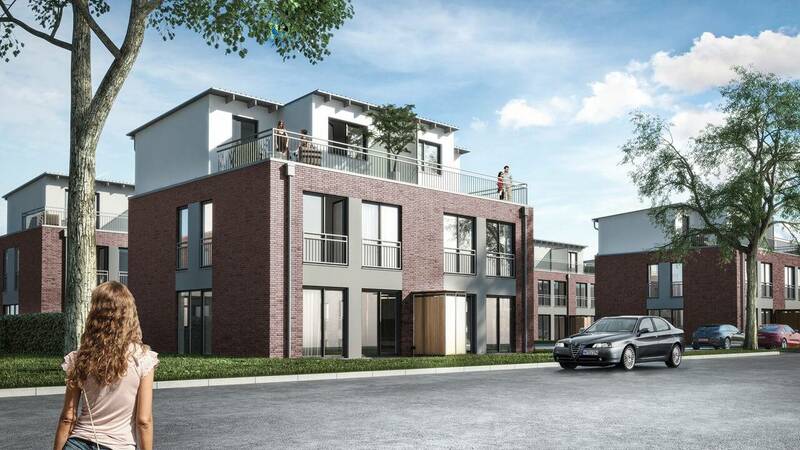 The „12 Heidehüser“ project is a combination of modernism and efficiency a creating a unique place to live on the outskirts of the beautiful town of Buchholz. 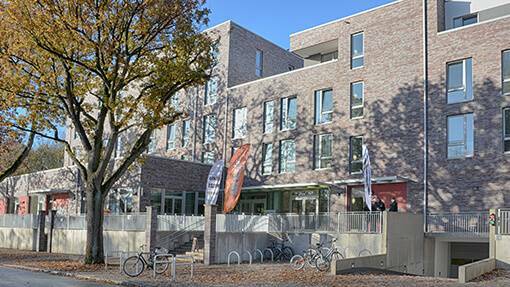 This new building with 47 apartments, a day-care centre and a cafeteria forms an attractive neighbourhood centre. 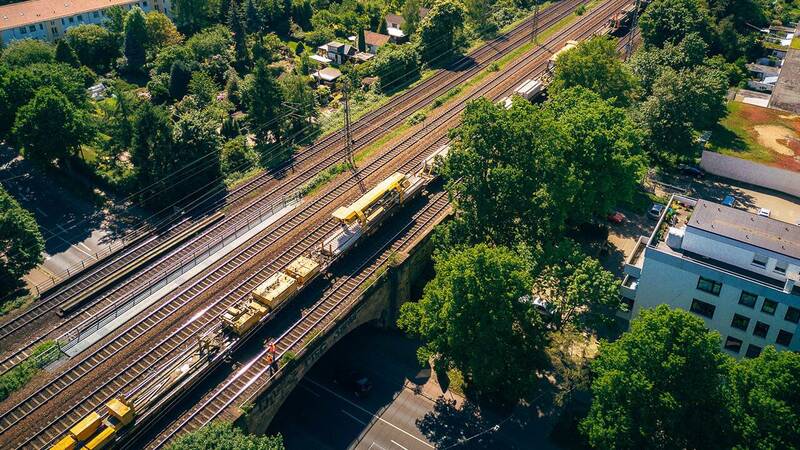 Three construction sites in four days – in this way the switches and track were modernised in the Bremen district.